All of the staff was nice and helpful and made the buying experience a good one. Easily booked my appointment online and took my car in for its first oil change and tire rotation. During my appointment, I was able to wait in the customer lounge which was stocked with snacks and drinks and had complimentary phone chargers and big, comfy chairs to sit in. About an hour later, a guy from the service department came and got me, letting me know my car was finished. The oil change ended up being free and the tire rotation didn't cost anything extra! They assured me if anything else seemed wrong with the vehicle, to give them a call. The car was warmed up and ready to go after I checked out. This was my first trip to this service center but I'll definitely return in the future. Cochran really understands customer service and goes the extra mile to prove it. I highly recommend them. #1 Cochran in Wexford did a great job of ensursing I had nothing less than a positive experience buying a perfect, used car within my budget. Thanks Cochran! Our sales person was fantastic. He listened to and addressed all of our concerns immediately with no hassle. Negotiating the deal was a breeze because they were well prepared and offered fair market price, fees, and financing right out of the gate. The entire process was streamlined and efficient. Me and my wife normally hate car shopping, but this experience was pleasant we walked away impressed. I would 100 percent do business with this dealership again. The best part of going to Cochran is it is actually OWNED by Cochran. A couple of other Large Local dealers are now "under the umbrella" of a conglomerate. The customer service just isn't what it should be with those dealers. 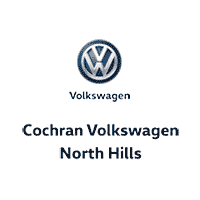 Do yourself a favor and go to a dealer you can trust, Cochran, where the employees aren't worried about potentially losing their jobs for fear of being downsized, and the customer service is what it should be!!! I'm a 56 year old woman and I went to buy a car by myself. I was feeling desperate having changed jobs and now driving 300 miles a week. My 18 year old Subaru had 164,445 miles on it. Having been at my job for only one month and poor credit I was nervous. Jay immediately responded to my online request for a test drive. Brian and Joel worked their magic and I am so pleased with my purchase. They get 5 stars.